2 Bdrm Detached Retirement bungalow. V/bule. Reception hall. Lounge. Dining kitch. 2 Bdrms. 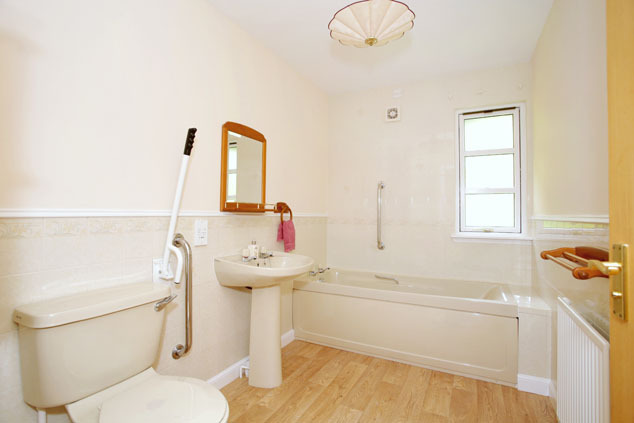 1 with ensuite shower rm. Bathrm (CT band - F). Garden. Garage. Parking. 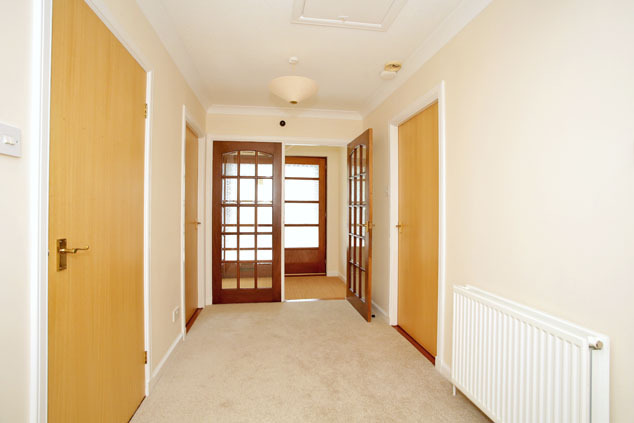 Price over £189,000 Entry by arr. Viewing contact solicitors. (EPC band - D). 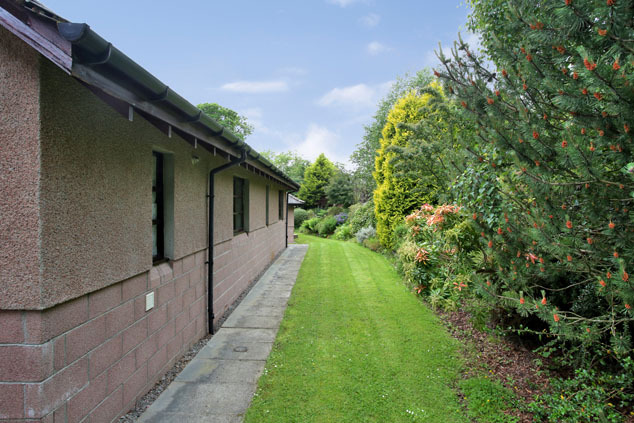 Situated in the peaceful grounds of Inchmarlo retirement community, we offer for sale this two bedroomed detached bungalow with single garage, which occupies a superb location within the beautifully landscaped grounds. Offering spacious living accommodation, comprising of an entrance vestibule, which in turn leads to the welcoming hallway, there is a generous dining kitchen and a formal lounge with feature fireplace and south facing aspect to the front. The generously proportioned master bedroom is served by an en suite shower room and a further double bedroom and bathroom complete the accommodation. 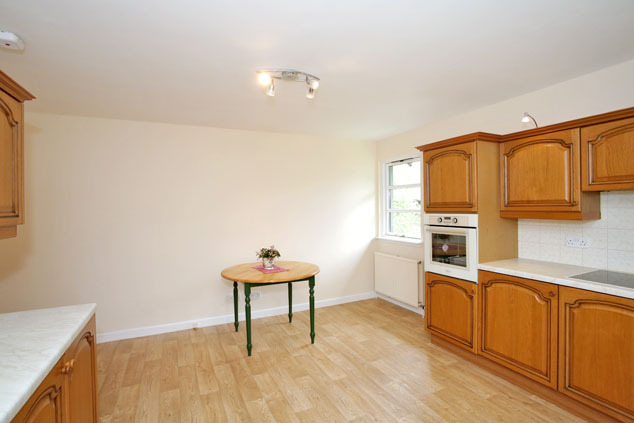 The property is served by gas fired central heating and is fully double glazed throughout. 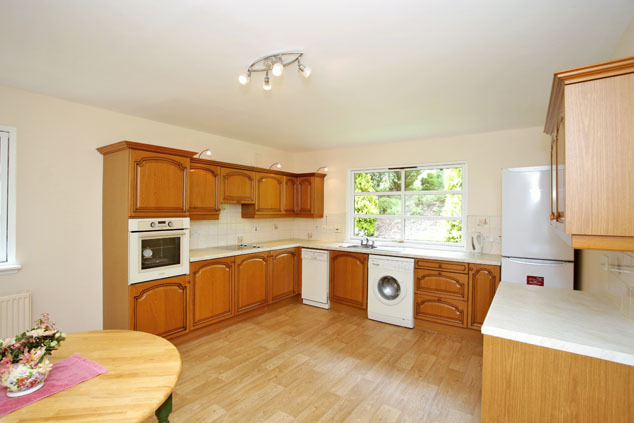 Viewing is highly recommended to fully appreciate the well presented and spacious accommodation on offer. Banchory is 17 miles approx. 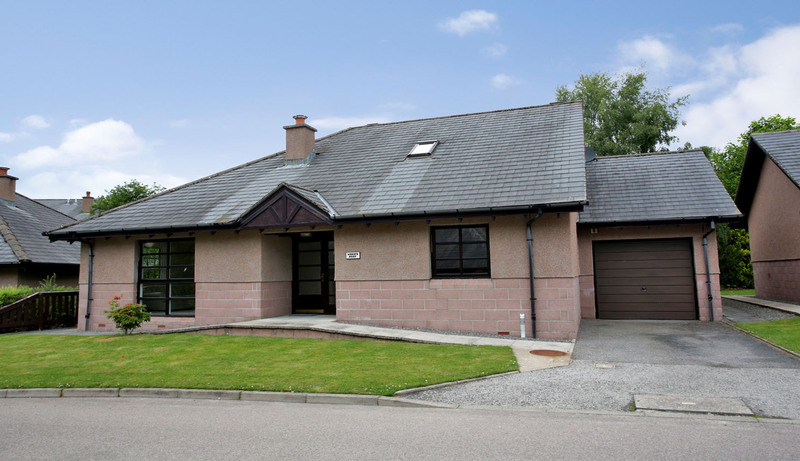 drive from the city of Aberdeen with three access roads, making property on Deeside much sought after. The town maintains a comprehensive range of shops and several excellent hotels and restaurants. The primary and secondary schools have excellent reputations and incorporate community and sports centres and a swimming pool. Banchory has two private golf courses and a driving range in addition to the various other leisure pursuits such as fishing, riding, hill walking and skiing etc. which are available on Deeside. Vestibule Entered via an opaque glazed door with matching side screen, this bright entrance benefits from a deep fitted cupboard which provides shelving and hanging facilities. A 15 pane door with matching side screen leads to the reception hall. Ceiling coving. Reception Hall A 15 pane door with matching side panel leads to the welcoming hallway which provides access to all accommodation. A deep walk-in cupboard provides excellent shelving and storage facilities and a further fitted cupboard houses the newly replaced hot water tank. Hatch to loft space, access via a Ramsay style ladder. Smoke detector. Lounge 16’11” x 15’5” [5.15m x 4.70m] approx. 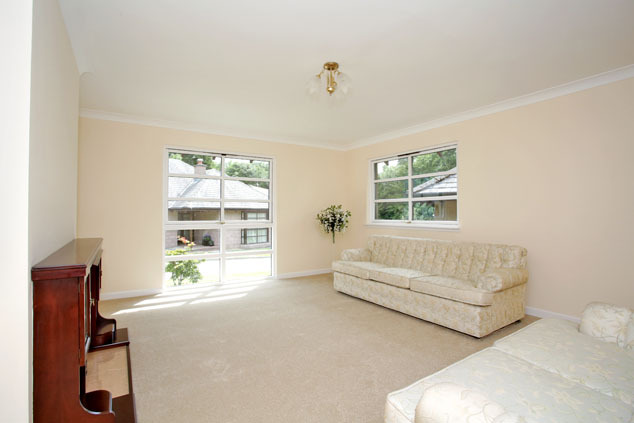 at widest A light and airy room with large picture window to the south facing front and further window to the side. 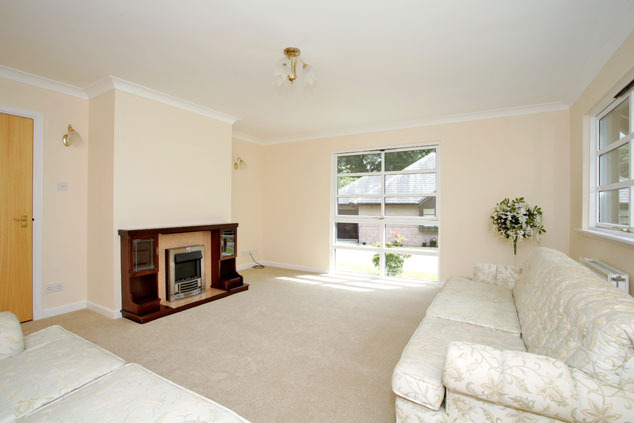 Fresh neutral décor is complemented by ceiling coving. 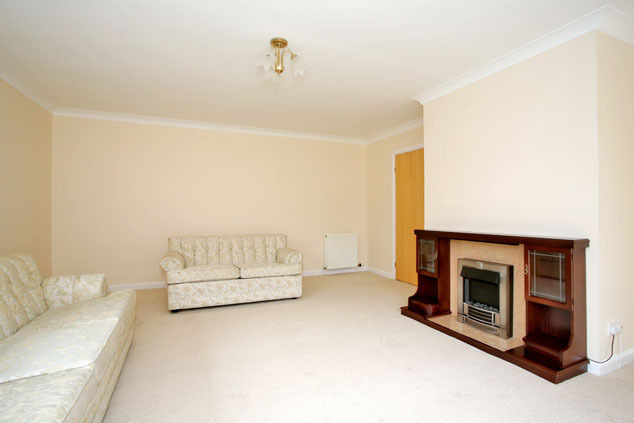 A wooden fire surround with electric inset fire is to remain. TV and telephone points. Dining Kitchen 15’4” x 15’1” [4.70m x 4.60m] approx. Generous dining kitchen fitted with a wide range of wall and base units incorporating rollfront worksurface and extensive splashback tiling. Stainless steel sink with mixer tap and drainer. 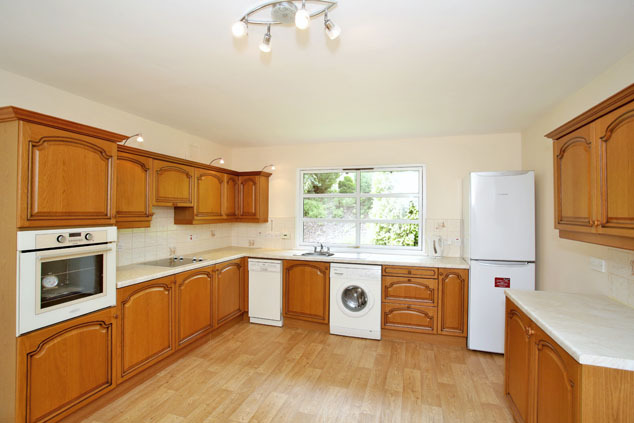 Integrated halogen hob with extractor hood and oven/grill are to remain, along with the free standing fridge/freezer, dishwasher and washing machine. Windows on two aspects allow ample natural light into the room. 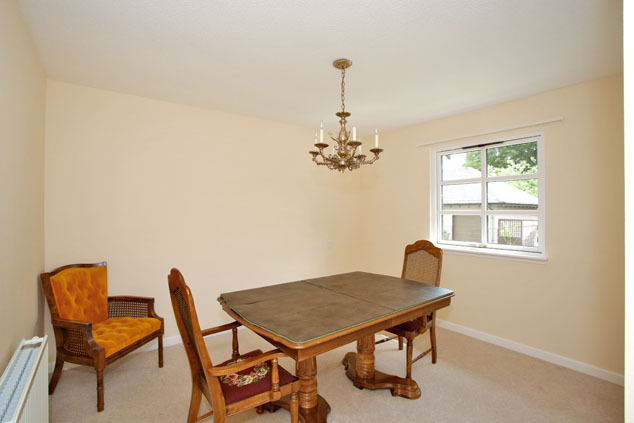 Space for dining table and chairs. Central heating controls. Telephone point. Bedroom 1 13’10” x 13’4” [4.20m x 4.05m] approx. 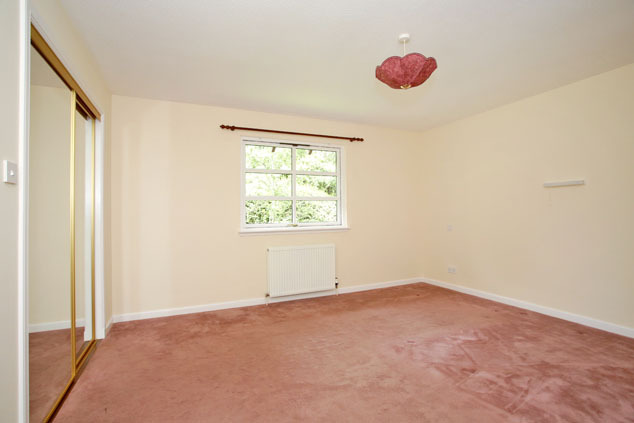 The well proportioned double bedroom overlooks the rear gardens. A double fitted wardrobe with sliding mirrored doors offers shelving and hanging facilities. 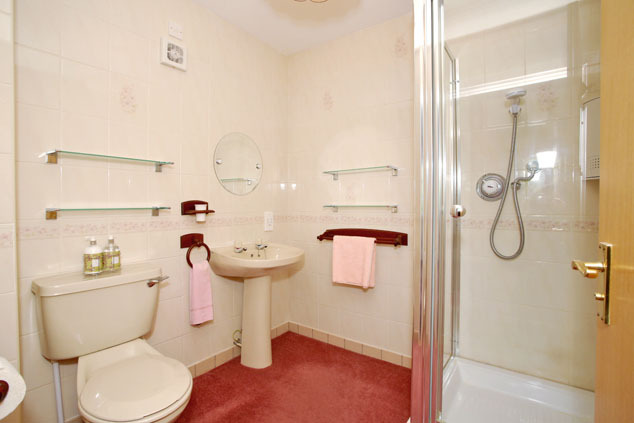 This room is further enhanced by an en suite shower room. Telephone point. En Suite Shower Room Fitted with a two piece suite and separate fully tiled shower enclosure housing an Aqualisa shower. Fully tiled throughout. Xpelair. Shaver point. Bedroom 2 13’10” x 11’8” [4.20m x 3.55m] approx. 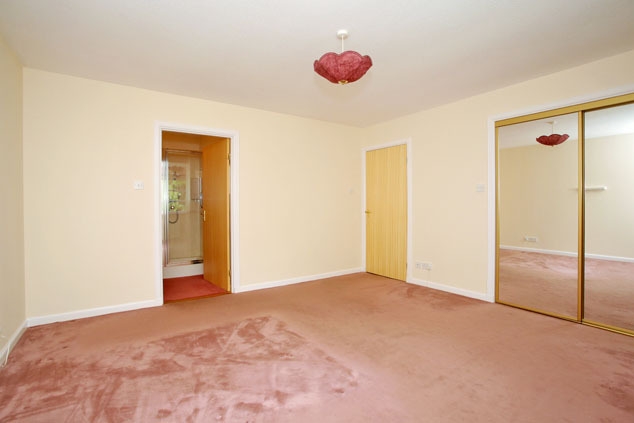 at widest Further spacious double bedroom located to the front of the property. Benefits from a double fitted wardrobe with sliding wooden doors, providing shelving and hanging space. Bathroom Fitted with a three piece suite. Fully tiled around the bath area and to dado height elsewhere. Opaque window to side. Shaver point. Xpelair. 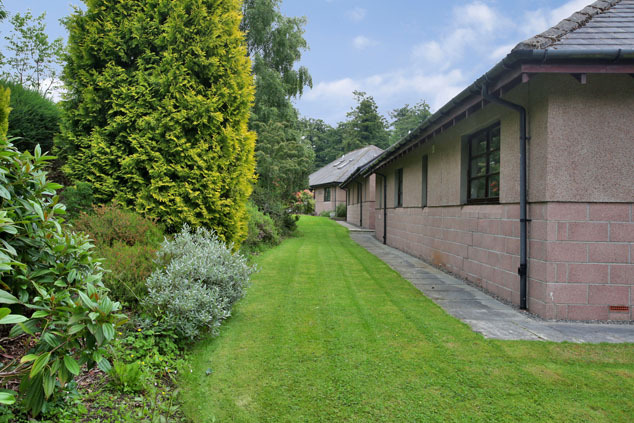 Outside Located within the beautifully landscaped grounds of Inchmarlo estate, the property boasts a superb open outlook over mature, well maintained gardens and is further enhanced by a south facing front aspect. The tarred driveway provides off-street parking and leads to the single garage which is equipped with up and over door, power and light. The central heating boiler is located within the garage. A built-in external store cupboard at the front door provides viable storage facilities and houses the electricity meter. Inchmarlo Estate There is a monthly service charge levied by Skene Enterprises Aberdeen Ltd which covers the maintenance of the communal grounds and areas. Ancillary care is available as an optional extra and will be charged according to the level of care required by the home owner. 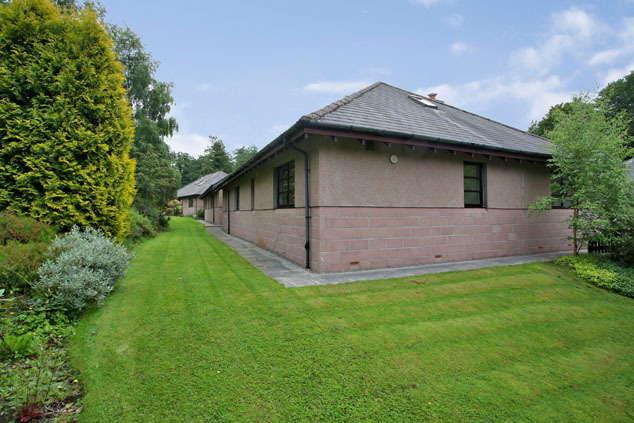 As Inchmarlo is a retirement complex, the house has been designed with this in mind and there is a minimum admission age of 55, and a requirement to have an informal meeting with the matron of Inchmarlo House. Directions From Banchory town, travel west for approx. 1 mile and turn right into the Inchmarlo Estate. Follow the sign post to the right which indicates Pinefield and continue on the one way system. Number 27 is located on the right hand side, as indicated by our for sale board.